It’s the Year of the Rabbit in more ways than one. First, according to the Chinese Zodiac it’s the Year of the Hare, and secondly, because according to gardeners and homeowners in the Northeast, rabbits have been especially abundant. It seems that they have bred like, well, rabbits, and they are now devouring as many plants as they can. 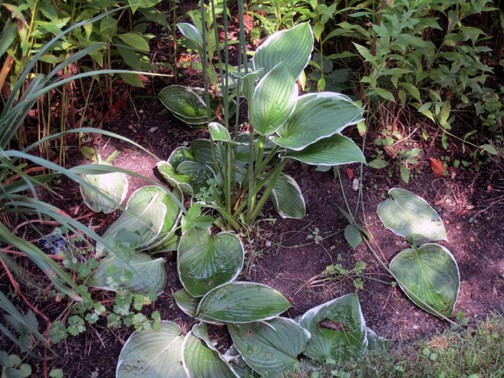 I was amused…perhaps a bit horrified…to see that on one of my consultation properties the bunnies are eating the stems of the Hosta but discarding the leaves. Celery sticks! Time for the egg and blood based repellants!